DSE is a market place where buyers and sellers of financial instruments meet. The Exchange is the secondary leg of Capital Markets that help avail long term and affordable capital to companies (productive users) from investors (idle holders/savers) with investment motives. 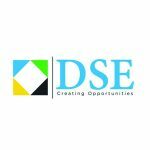 DSE was incorporated in 19 September 1996 and trading started in April 1998. The exchange became operational on 15 April 1998 with TOL Gas Limited listing as the first company followed by the Tanzania Breweries Limited (TBL) during the same year. On 29 June 2015 the Dar-es-Salaam Stock exchange re-registered to become a public limited company after issuing 15,000,000 shares to the public at an IPO price 500.